CLUTCH's Earth Rocker Live is set for a November 26th release date via Weathermaker Music. Presales for this special and limited collector's item have begun now at the CLUTCH Merch Store. 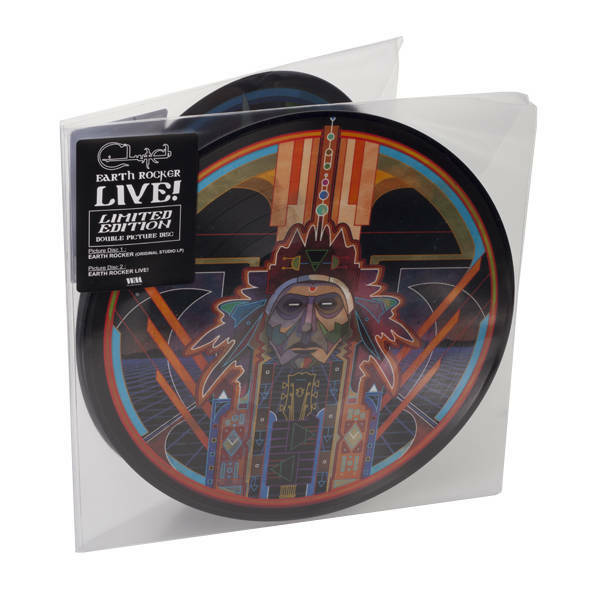 Earth Rocker Live is a double vinyl picture disc set. The first LP is the studio version of Earth Rocker. The second LP consists of live versions of the same tracks in the same sequence as the original. This is not a live recording of one show. The individual tracks of the live version were recorded at different shows throughout the band's May 2013 US tour: Houston and San Antonio (TX), Lincoln (NE), Indianapolis (IN) and Fargo (ND). The stunning artwork displays the four Indian heads from the original package in all their colorful beauty: one for each side. Live from the Ogden Theater in Denver, CO, CLUTCH will perform live on AXS TV Concerts this Thursday November 14th at 11:00 PM EST/8:00 PM PST. The band will play tracks from their latest release Earth Rocker as well as many other CLUTCH favorites. In anticipation of the telecast, CLUTCH will be giving away signed copies of the Earth Rocker Live double picture disc LP through a social media contest HERE. If you are in Denver and want to meet the band prior to the show come to Angelo's CD's & More at 2pm on November 14th. The members of CLUTCH will gladly sign your personal memorabilia or a special poster which was made for this occasion. CLUTCH's ongoing Earth Rocker World Tour runs through November 23rd in Detroit, MI. Support on these dates is being provided by THE SWORD and AMERICAN SHARKS. In December, between Christmas and New Year, CLUTCH will be back on the road for their traditional holiday shows. Touring will continue in January with dates set from the 2nd in Asheville, NC to the 18th in Huntington, WV. All dates and links to purchase tickets can be found below.